Good morning and welcome to another week of Scrapbook Saturday! 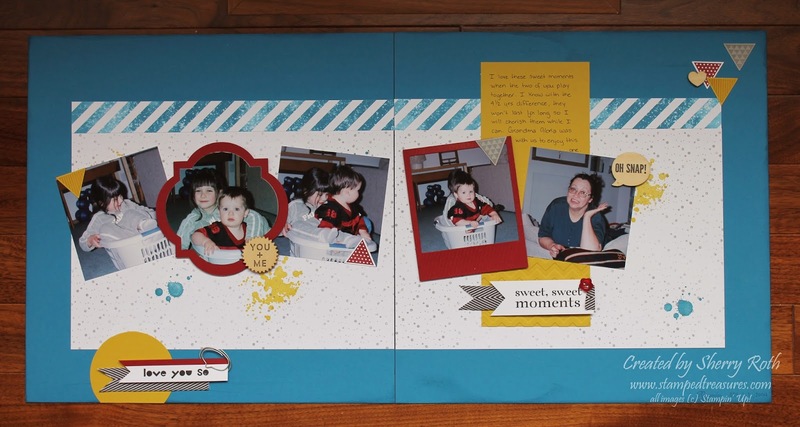 I'm loving this feature on my blog because it's forcing me to get some scrapbooking done! Today's layout was another done for last month's scrapbook club. It uses so many great products from the Celebrate the Everyday catalogue in particular one of my favorites for scrapbooking the Geometrical bundle. I love the neutrality of this stamp set. It, along with my other favorite, Gorgeous Grunge, in my opinion are must have sets for scrapbookers. Titles are always a struggle for me. I'm not very creative when it comes to that. 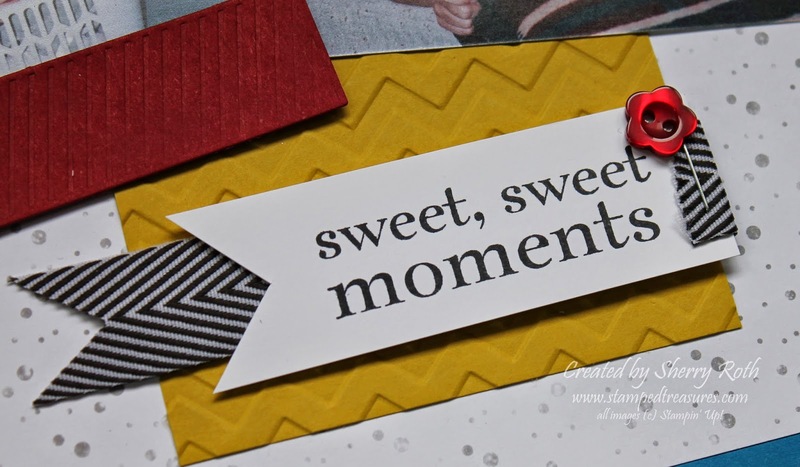 I often end up going through my stamp sets to see if there's something that's suitable and for this layout the 'sweet, sweet moments' sentiment from the Happy Day stamp set jumped out at me. By adding the black chevron ribbon behind the white title, it really makes the title pop. I wanted to mimic this same flag cluster on the other page so I added a sentiment from the Geometrical stamp set, layered it over the chevron ribbon and voila!